The very first step in preparing for you move is to obtain a copy of the brochure ‘Ready to Move?’, and the booklet ‘Your Rights and Responsibilities When You Move’ from the mover. and then save it, or print it, or both!  Ask for recommendations from neighbors, friends, and relatives regarding the mover.  Check with the Better Business Bureau regarding the mover. 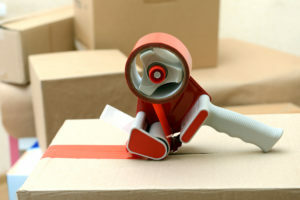  Find out what the mover’s responsibilities are for damages that may occur to your belongings.  Ask if the mover has a dispute settlement program.  Obtain estimates from three movers, and compare costs and services to be provided by each mover.  Check to determine whether the interstate mover is registered with FMCSA, and has a USDOT number.  Find out how and when pickup and delivery of your household goods will occur.  Adequately insure your belongings. Create an inventory of everything you have to move. This step, will help you to get organized as well as help our specialists in preparing an accurate estimate for your move. 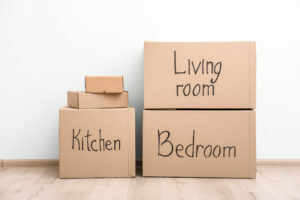 Moving can be overwhelming, and preparing an inventory can aid in reducing the stress of a any move. And, few things are more satisfying than crossing something off of a to-do list! We cannot stress the importance of supplies enough. There are things that you will need that you never would imagine, and having everything is key to keeping your belongings safe for a move, and in keeping the momentum and continuity moving. Fret not! We have a large inventory of anything that you may need. We have you covered on moving day, literally. Let us know what you need, and your ‘Guys’ will arrive with your custom inventory of supplies, plus some extra, just to be fully prepared. For those closets of hanging clothes, always use wardrobe boxes! There is no easier way to move hanging clothes, and we all know what a pain those pesky hangars can be. Pack them right and everyone is happy on moving day. It’s easy to think you will remember what’s in every box. You won’t! Trust us on this subject, after 10-15 boxes, they all look the same. Really. Do yourself a favor (and us, if we are moving your pre-packed boxes) and take the time to mark them. They don’t have to be perfect, just find a system that is efficient for you and go with it. 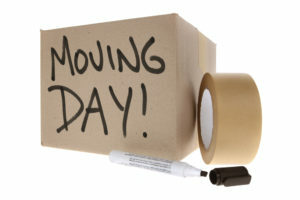  Be present to answer questions and give directions to the movers. Stay until they finish.  Accompany the movers as they inventory your household goods and resolve any questions regarding the condition of materials being moved.  Carefully read the information on the estimate, order for service, bill of lading, inventory, and all other completed documents before you sign them.  Keep the bill of lading until your goods are delivered, the charges are paid, and any claims are settled.  Before the moving van leaves, take one final look throughout the house to make certain nothing has been left behind.  Give the driver directions to your new home, or a map!  Inform the driver and the moving company of where you can be reached during the move.  Be present to answer any questions and give directions.  Pay the driver, according to the term of your agreement, before your goods are unloaded.  Supervise unloading and unpacking of your goods.  Note on the inventory list all boxes or other items that are damaged before you sign any documents. Dress smart on moving day! This is not the day to dress for the board meeting at the office! Shorts with a loose fitting shirt and some high-tops work perfectly. If you must dress for the office, leave the details of moving to the Handy Guys Moving Services. We’ll get it done the way you want it done, and on time! Nutrition and Hydration… don’t trick yourself into thinking that you won’t need food and water. Pack your favorite snacks, fruit, sandwiches or drinks, or haul the bar-b-que grill on the trailer! And, don’t forget water, sports or energy drinks… you are going to wish you had filled your favorite cooler! 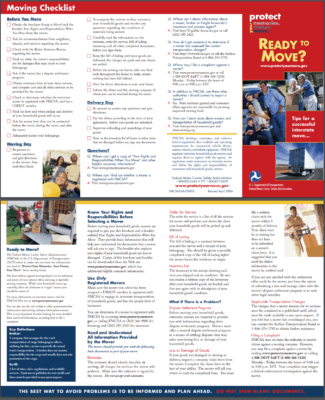 Handy Guys Moving Service has adapted this Moving Tips Guide, from the Moving Checklist document (FMCSA-ESA-03-005) prepared by the Federal Motor Carrier Safety Administration, revised April 2006. FMCSA develops, maintains, and enforces federal regulations that establish safe operating requirements for commercial vehicle drivers, carriers, vehicles, and vehicle equipment. FMCSA regulates interstate household goods movers and requires them to register with the agency. Its regulations assist consumers on interstate moves and define the rights and responsibilities of consumers and household goods carriers.